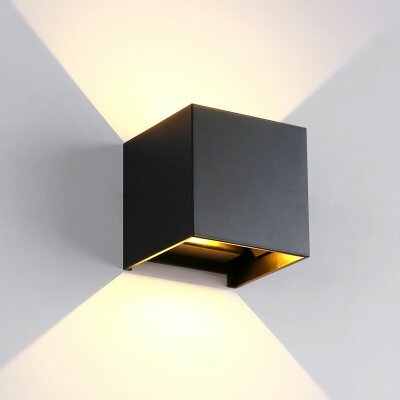 Successfully Added Indoor and Outdoor Aluminum Waterproof LED Adjustable Light Square Wall Lamp to your Shopping Cart. Apply to the courtyard, bedroom, living room, hall, bedroom, wall and so on. Select double high-end aluminum production, exquisite workmanship, unique shape, paint technology, highlight the high-end surface texture, and durable. Humanized design, hidden hanging wall installation, installation is convenient, stable and safe, stylish and simple, superior technology. IC chip constant current drive, intelligent control circuit, overload protection, stable quality, long service life.